14 fun facts about these black beauties. There’s just something extraordinary about the Friesian horse. Big, bold and brilliant, with stunning good looks and plenty of talent and power, the Friesian is easily recognizable thanks to its striking black coloring and abundant leg feathering. Here are 14 things you might not know about this majestic and noble breed. 1. 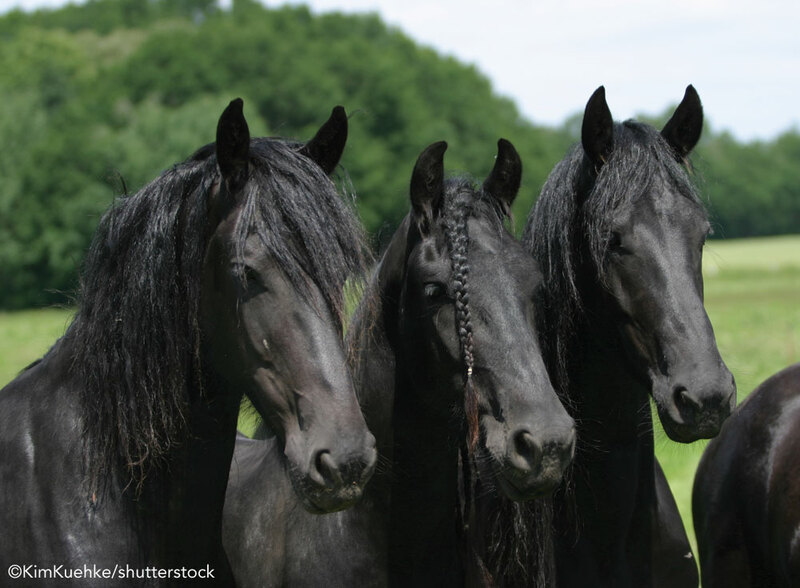 Friesians are always black, although the exact shade can vary. Friesians in history appeared in many colors, and chestnut Friesians still occur occasionally, although they’re becoming increasingly rare. 2. 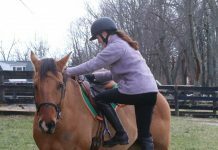 The breed features incredible knee action at the trot and is well-suited to a variety of disciplines both under saddle and in harness. 3. Some Friesians are movie stars. Friesians are gorgeous, intelligent and gentle, and it’s easy to see why they’re chosen to star in movies. 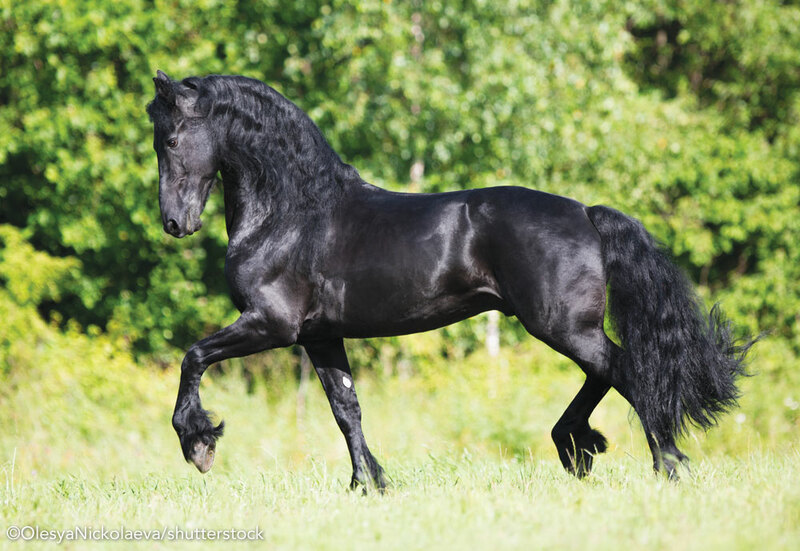 Friesians have appeared in several films, including Albion, the Zorro movies and The Chronicles of Narnia. Friesians have incredible knee action at the trot that makes them well-suited to a variety of disciplines in harness and under saddle. 4. The Friesian Horse Association of North America requires Friesian stallions to stand at least 15.3 hands by 4 years of age, and mares and geldings must measure at least 15 hands in order to be registered. 5. You won’t find white markings on this breed because they’re prohibited—with the exception of a tiny star on the forehead. 6. The first Friesian horses arrived in North America during the 17th century, but the breed disappeared in the United States in later years. It wasn’t until the 1970s that interest increased again. 7. Friesians “graduated” from The Livestock Conservancy’s Conservation Priority List in 2014, meaning that the breed’s population has increased to the point that it’s no longer included on their list of endangered breeds. Sources estimate a population of nearly 50,000 Friesians worldwide, with approximately 8,000 of them here in North America. 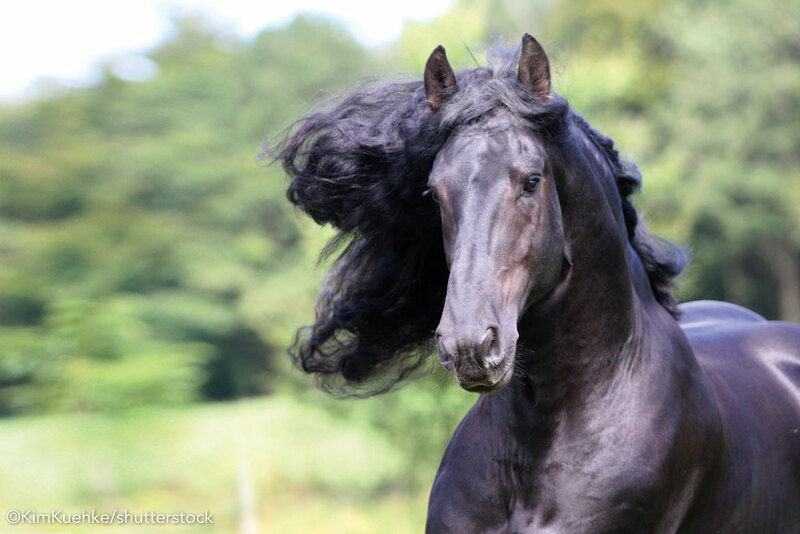 The long mane and jet-black coat are trademark features of the Friesian. 8. Some North American breeds, including the Morgan and Standardbred, are believed to have been influenced by Friesians throughout the course of history. 9. The breed’s registry opened in the Netherlands in 1879, and it’s said to be the oldest studbook in that country. The Friesian’s bloodlines have been free of outside influences for two centuries. 10. The Friesian has lent its qualities and characteristics to the development of breeds in Europe, including the Fell pony, the Dales pony and the Oldenburg. 11. Friesians in North America are evaluated at inspections known as keurings. This inspection process is designed to promote quality in the breed. Judges evaluate each horse’s conformation and movement. 12. The Friesian gets its name from the Friesland province of Holland. The name also belongs to a type of cattle that hails from the same region (in the United States, these cattle are known as Holsteins), as well as a type of potato! 13. One of the most famous modern Friesians is a horse named Frederik the Great, who has 90,000 followers on his Facebook page. 14. 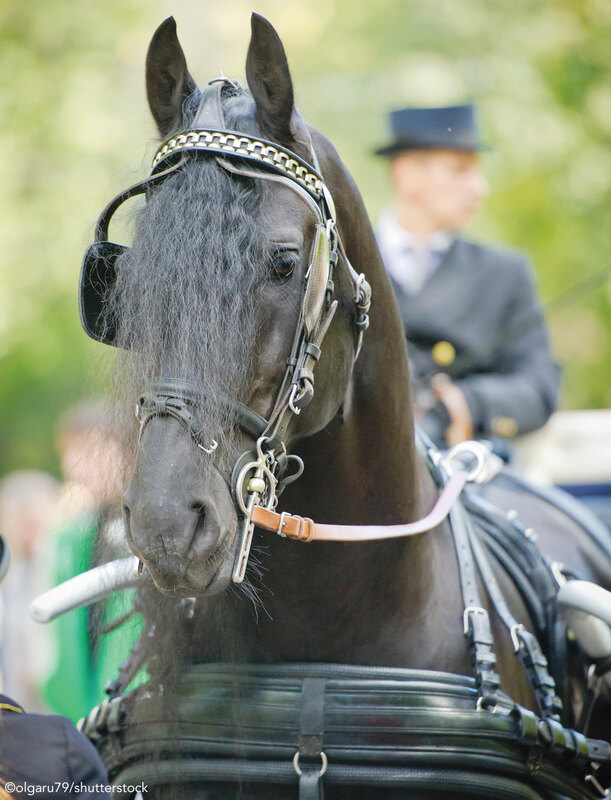 Friesians are amazing carriage horses and are a popular choice for equestrians interested in driving. 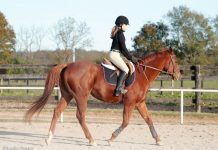 But don’t underestimate this versatile breed’s ability under saddle, especially in dressage. Young Friesians in a field—it must be hard to tell them apart! The history of the Friesian horse begins in Friesland, a province of the Netherlands situated in the northern part of the country. Records indicate that the Friesian breed has existed since the 1500s or even earlier, and many believe that Andalusians had at least some influence on its development. 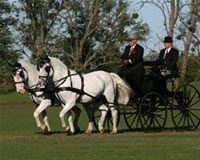 In those early days, the Friesian served as a courageous battle horse, hardworking farm horse and a notable carriage horse. With its lengthy history and stunning looks, it’s easy to see why, after more than 500 years, the Friesian continues to leave its hoof prints on the hearts of horse lovers all over the world. For more information, visit www.fhana.com. This article originally appeared in the January/February 2019 issue of Young Rider magazine. Click here to subscribe!